#SamenSterk is a Dutch response to the current Russian Boycot of Fruit and Vegetables for the European Union. It’s an organization who wants to promote the Dutch people to buy and use more local produce to support the local farmers and growers. Even if you’re not from the Netherlands, or the EU, you can support your own local producers as well by trying to buy your groceries at a local farmer or grower! 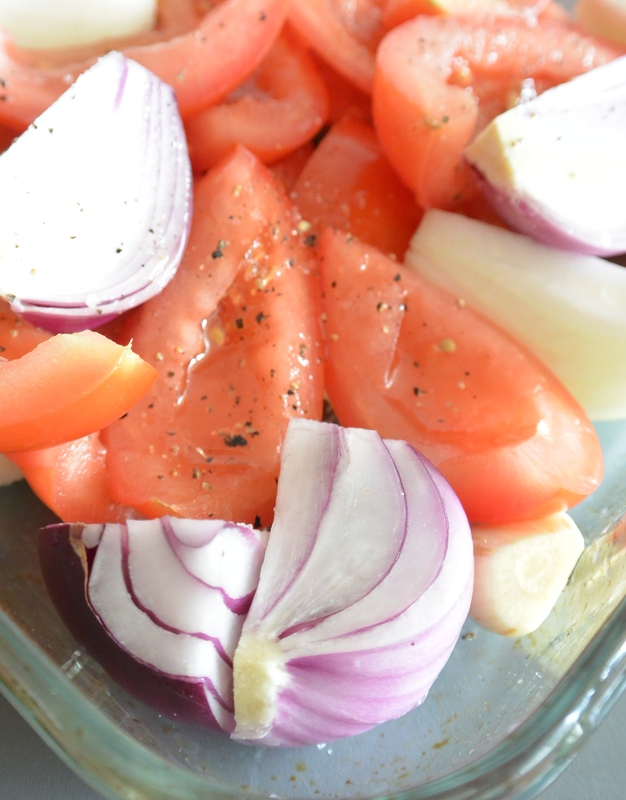 Put the diced and deseeded tomatoes, chopped onion and the gloves of garlic in a baking tray. Drizzle some olive oil on top, add some, Italian herbs, salt & pepper and put in a preheated oven (180 degrees) for about 30 minutes or until the onion are soft and starting to caramalize. Remove the skin from the garlic and put the content of the baking tray in a blender. Add the vegetable broth and basil and blend until smooth. Poor into a pot and reheat above a medium fire. Add the mascarpone and stir well. Don’t forget to taste and add some salt and pepper if needed. Posted in Diner, Lunch, recipes, SoupTagged comfortfood, diner, dinner, fit, food, glutenfree, glutenvrij, healthy, healthy lifestyle, herbs, lunch, natural, recipe, soep, soup, sugarfree, suikervrij, vegetable, vegetables, vegetarian, veggie, veggiesBookmark the permalink. Yes goed bezig, meteen de Nederlandse economie boosten!